In the blink of an eye: That’s how quickly the new generation the car industry worried so much about—the millennials—has grown up and bought houses and cars like we were told they never would. Some predictions were spot on, some were off, but what is not in question: If you want to do business with millennials, you must stop . . . and listen. If you do business with millennials and they felt you didn’t listen, they will post and share that negative experience, then their peers will read and “like” it on a social network your customers listen to. Data varies on how big the millennial market is—the estimates range from 62 million to 80 million—but the pioneers of the generation are up to 37 years old, with the trailing edge being 17 years old. Various studies brand them as loyal consumers seeking quality, a good experience, and social engagement from the brands they prefer. Also, 53% own homes and 80% own cars, notes CNBC. One way to lose a millennial F&I customer’s trust is to engage using yesterday’s practices. No more bully tactics, smooth words, or fast talk. Not only must the sales pitch go out the window, but so too should old-school objection-handling talk tracks and the paper-based tools for putting any deal together. Millennial customers are bored because they have already read about it before they reached you. (Can you hear their eyes roll?) At worst, they’ll feel you’re demonstrating that you’re not interested in meaningful engagement or meeting their individual needs, only your own. Fortunately, because 47% of dealership new hires are millennials, according to NADA’s Workforce Study, the odds are good that the F&I manager the customer meets will also be a millennial. This should work well for creating that collaborative atmosphere millennials want when engaging with a business. Listen and advise. Today’s buyers, regardless of generation, have done their homework. They’ve gotten most of the facts before they come to you. TrueCar removes mystique about pricing, DealerRater and similar review sites tell them what peers think of your dealership and staff, and any number of handy online apps give them the real skinny on trade-in valuations, as well as what a vehicle service contract should cost, according to various parameters they plug into the online tool. Help them interpret reality. Stats are cold, so people often need help understanding what the facts or statistics mean to them. When information is obtained online, although it may be true, data is a mere skeleton until you help buyers see the whole reality. Connect the meaning of the data to the customer’s real-world situations. Let them lead. Do not push too hard on the steps to the sale—instead, track along with their thoughts advise them as concerns, issues, or questions arise. Answer their questions. They may already know and understand a great deal, but F&I’s job is to complement the fact-finding already started by the customer. Ask questions that help you both focus on the main issues. Let them control. Put tools in their hands that require some action. With a tablet in their hands loaded with a digital predictive analysis survey, millennials will identify for you their product interests and the risks that concern them. Give them the power to scrutinize your product menu, and configure their choices and how those choices modify their payment. They’ll appreciate the transparency. Help them see. Digital F&I tools put your offerings and prices front and center. Every change made to the deal is clearly demonstrated, so the old smoke-and-mirror fear evaporates. Use your experience to link a product to a real solution. Help the customers connect your experiences with theirs: Relate to them how purchasing a service contract can mean a more safe automobile for their young family, how a prepaid maintenance plan to help offset future services will protect vehicle performance and their wallet, and how a lease wear-and-tear policy can compensate for the potential damage a family of rowdy kids can do to a car interior. However you approach your millenial customers, don’t fudge on honesty. Listen, process, and speak in sound bites that ring true for their stage in life. Make the connection with their concerns and your own experiences. Share stories, which almost everyone prefers over facts and stats. Also, remember that it is critical to embrace the social component at play in every transaction you have with a millennial. 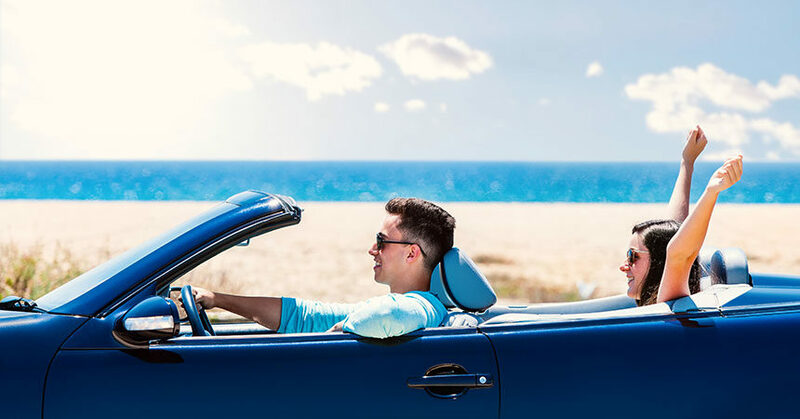 Authentic personal engagement with millennial customers, informed by compelling data and guided seamlessly through a flexible, all-in-one digital F&I stage, will result in good news for your dealership—news that will travel fast. Jim Maxim, Jr. is the president of MaximTrak Technologies, an industry-leading provider of digital F&I platforms for dealers, and chief digital officer at RouteOne. He is an F&I visionary recognized by an Agent Entrepreneur and CIO Review magazines, a frequent panelist and speaker at various F&I and technological innovation conferences, and a contributor to automotive retail media about evolving F&I technologies. Reach him at maxim@maximtrak.com.